The Atlanta Falcons make the trip to Soldier Field on Sunday to face the Chicago Bears, as both teams look to get their seasons off to a good start. The Bears are looking to clear the stink from a 3-13 season where not a lot went the right way. Atlanta, meanwhile, is the defending conference champion and looks to get back to the game they were so close to winning. They should get a challenging game on the road in week one. Atlanta got on a big roll to get to the Super Bowl last season. It's just when you're up 28-3 late in the third quarter and don't win, it can stick with a team. After being in that position, it can be hard to go back to the grind of trying to get back there. It's just something to think about. Another possibility is that the same mental fortitude and self-belief that it took to get to that spot resurfaces now and the Falcons simply get back the business of being a good team. Offensively, it's still a veritable smorgasbord of talent for the Falcons. They have a defending MVP quarterback in Matt Ryan, one of the best in the biz with WR Julio Jones, and a guy in Devonta Freeman, who has cemented his status as an elite and versatile back. Add in weapons like WR Taylor Gabriel, WR Justin Hardy, WR Mohamed Sanu, TE Austin Hooper, and others and we see new offensive coordinator Steve Sarkisian has a lot of weapons with which to work. Right guard Chris Chester retired, but all 4 other starters return having started every game last season. New Atlanta defensive coordinator Marquand Manuel comes in on the heels of the Super Bowl collapse. The defense was an area of offseason focus. Vic Beasley's ascension in 2016 was great for the "D" and the Falcons now hope rookie first-rounder DE Takkarist McKinley and Dontari Poe make this line even better. The middle looks exceptional with Deion Jones delivering last season as a rookie. Another youngster in DeVondre Campbell, along with Kemal Ishmael, help make this a tough unit. Having corner Desmond Trufant healthy will be big for the secondary, but they still need another corner to step up. Safety is pretty strong with burgeoning Keanu Neal, with Brian Poole. Bears' head coach John Fox is on the hot seat. They may have their QB of the future in Mitchell Trubisky, but for now, it's going to be Mike Glennon behind center. Getting a good prospect early in the draft and a guy in Glennon who seems to still have some exploitable upside seems good on paper. At the end of the day, however, you have a youngster who isn't ready for primetime and a guy who has thrown 11 passes in the NFL since 2014 running this offense. Losing Alshon Jeffery in the offseason and having Cameron Meredith go down with an ACL really deprives Chicago of the little aerial playmaking ability they had. Maybe former first-rounder Kevin White can stay healthy or they can get some production from guys like Markus Wheaton (out), Kendall Wright, or tight ends Zach Miller or rookie Adam Shaheen. One thing in the Bears' favor was the blossoming of rookie back Jordan Howard in 2016, who really gives this offense something to build around. Chicago tackles Bobby Massie and Charles Leno are hardly elite, but are adequate. The whole team could benefit from the stellar inside play of G Josh Sitton, C Cody Whitehair, and G Kyle Long. The Bears harbor some hope with an up-and-coming front. Akiem Nicks is a presence against the run with a pass-rushing element. Eddie Goldman (questionable) is an asset if he is healthy. They also added hulking John Jenkins in the middle and if Jonathan Bullard can produce, this should be a team strength. Danny Trevathan (questionable) and Jerrell Freeman are good run-stoppers in the middle, but more pass-rush is needed and they now look to Leonard Floyd, Pernell McPhee, or Wiliie Young, who did have 7.5 sacks last season. The secondary is a cause for concern and they hardly ever make game-changing plays, having registered a meager 8 picks for two straight seasons. They add rookie Eddie Jackson and Marcus Cooper at corner and that helps, but the front will have to be really good if this secondary wants to thrive. Granted, the way the season ended for Atlanta, combined with offensive coordinator Kyle Shanahan's departure is cause for some concern. It's still probably the best offense in football and their "D" looks even better. If the defense stays healthy, it will be one of the more-aggressive and impactful units in the game. Chicago, meanwhile, is working on a lot of things and lags behind Atlanta in terms of potential by quite some ways. Still, we like them in the role of big home dog this week. We'll take the Bears. 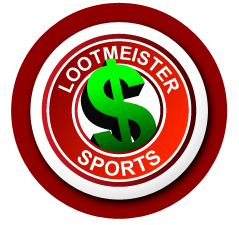 Loot's Prediction to Cover the Point Spread: I'm betting on the Chicago Bears plus 7 points.Tired of your credit card not working for sportsbook deposit? End that problem today by signing up at Bovada Sportsbook where your credit card WILL work and where you'll receive a generous 100% sign-up bonus!